Earlier this year, you may recall, I proposed a mini reading challenge . The challenge is to include a book by P.G. 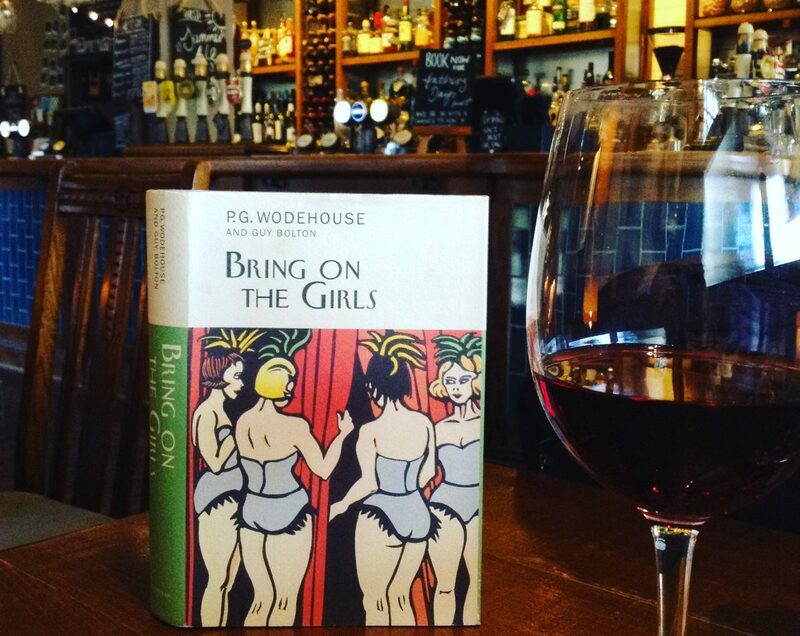 Wodehouse in your reading, under one of the categories listed in any other 2016 Reading Challenge. Stefan Nilsson suggested The Code of the Woosters for the ’20th Century Classic’ category. I read Laughing Gas in the ‘book from the library’ category. French Leave is another possible inclusion as ‘a book set in Europe’. My review and reflections on ‘French Leave’ is reblogged below. Look at one of the 2016 Reading Challenge lists (try the popular POPSUGAR challenge ). Choose a Wodehouse book to fit one of the categories. Reply to the challenge page explaining which book you selected, under which Reading Challenge category. You don’t have to be actively participating in any other reading challenge to enter. As the clocks of Paris were striking eleven on a morning three weeks after the Bensonburg expeditionary force had set out for Europe, a tall, willowy, elegant figure dressed in the extreme of fashion, turned the corner of the Rue Belleau and entered the Rue Vanaye. It was Nicholas Jules St Xavier Auguste, Marquis de Maufringneuse et Valerie-Moberanne, affectionately known to his friends, of whom he had many in all walks of life, as Old Nick. Ooo! One I haven’t read yet! 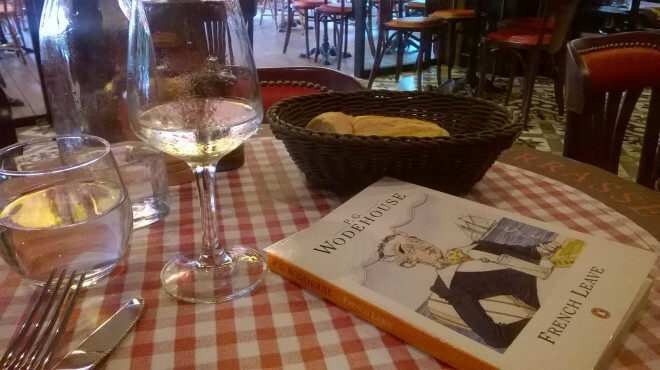 I am gradually fattening my Wodehouse collection, but it is, alas, not large. You have so many delights ahead, Deborah. I realized yesterday my husband has never read Something Fresh and has no idea why simply saying “Heh! Mer!” is enough to turn me into a quivering jelly of giggles. I have obviously been neglecting my wifely duties! Something Fresh is a favourite of mine. If you don’t have it on the shelf, perhaps give it to him for Christmas. That should be worth at least a year of wifely duties. Reading Wodehouse to one’s husband is definitely a wifely duty 🙂 The birthday idea is genius as he’s terribly hard to buy for usually! Which of you two lovebirds (or maybe both) comes up behind her husband in the morning, puts her hands over his eyes and coos: “Guess who?” Life is imitating art. Horror! I can assure you that I am not Madelinely inclined. Especially not in the mornings [shudder].